KenIchi: The Mightiest Disciple – (S1-E7) Hot Battle at the Gardening Club! A Return Match! 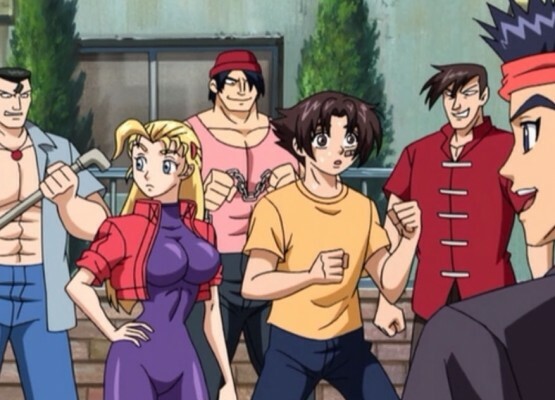 Kenichi must battle and old foe once again, the original fighter who started on him at the Karate club before Kenichi enrolled at the Ryozanpaku Martial Arts House. But this thug has decided to pick on Kenichi’s new membership, the Gardening club where the thug and a few henchmen have trashed it. Kenichi must now avenge his garden and keep these thugs away from his love interest Miu. One of the three Ragnarok gang head members has taken and interest in Miu and want to fight Kenichi, but this foes usues kicks with incredible speed. Can Kenichi face this new foe and match his speed for the win?